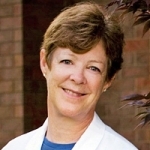 Dr. Sue Hall has been a neonatologist for 25 years, and before that she worked as a master’s level social worker. She has a BA from Stanford University, an MSW from Boston University, and an MD from the University of Missouri-Kansas City. She completed training in Pediatrics and Neonatology at The Children’s Mercy Hospital in Kansas City, MO, then joined the faculty at UCLA’s David Geffen School of Medicine where she affiliated for 19 years. Now in private practice at a community hospital NICU in Oxnard, California, Dr. Hall was the Co-Chair of the National Perinatal Association’s Workgroup on “Interdisciplinary Recommendations for Psychosocial Support of NICU Parents,” which resulted in publication of a supplement issue of Journal of Perinatology in December, 2015. She is also the author of a book about life in the NICU, titled For the Love of Babies, published in June, 2011.